Why should I buy this map? This remote and beautiful area is often described as 'Scotland's last wilderness'. 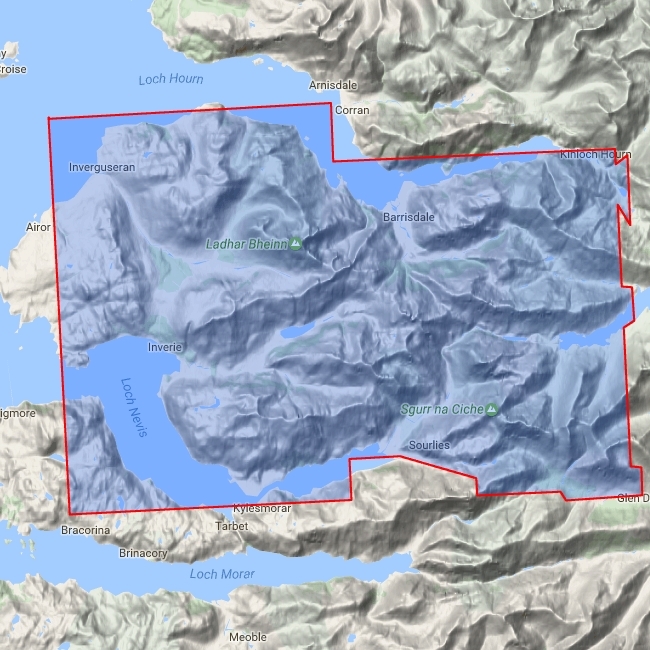 Detailed map for hillwalkers of Knoydart at the popular scale of 1:25,000. Includes routes from Kinloch Hourn and Loch Arkaig. Includes 6 Munros, 7 Corbetts and 2 Grahams.